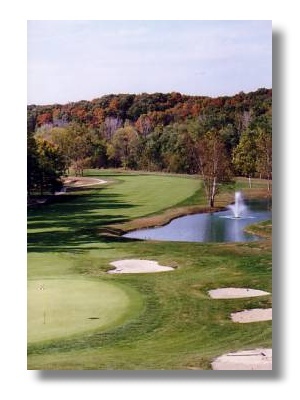 Come and see why golf groups return to this Brown County Indiana golf course year after year. 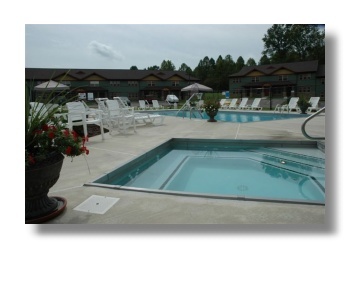 It's not just because of the outstanding golf course, but also due to the overnight accommodations, sports bar with plenty of flat screen TV's, and outdoor pool & hot tub. The central location and proximity to Indianapolis, Louisville & Cincinnati make the course a popular annual outing for golfing groups. Private dining and meeting areas are available for groups. Pick up your cart or schedule a lesson. Get a bite to eat at the "19th Hole". 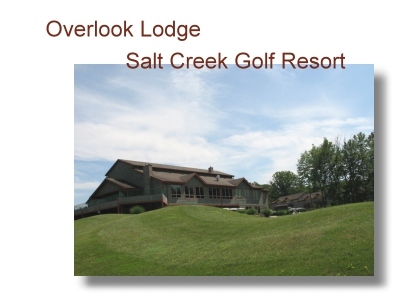 Each unit sleeps 1-4 people, fully furnished, full kitchen, fireplace, large deck overlooking the 18 hole championship golf course. After a long round of golf relax by the swimming pool. Between rounds of golf, enjoy Indiana's most popular state park, Brown County State Park, or picnic in Yellowwood State Forest, go boating at Lake Monroe. Visit the T.C. Steele State historic site and experience the historic hoosier artists' colony of Brown County as it was... Then visit today's local artists and crafters in their studios. Shop till you drop in unique shops, art & craft galleries and antique malls. Take in a show at Brown County Playhouse, The Dance Barn or Bean Blossom Bluegrass Festival Park.